Health informatics software business, Alcidion (ASX:ALC), has spent $12 million acquiring healthcare-focused IT solutions provider MKM Health and its affiliate, Patientrack Holdings. The deal also involves MKM Health’s New Zealand subsidiary as well as Patientrack’s UK and Australian subsidiaries, substantially expanding Alcidion’s domestic and international footprint. Headquartered in Sydney, MKM Health provides IT solutions to healthcare providers across Australia and New Zealand, while UK-based Patientrack supplies healthcare software targeted at improving patient safety in hospitals. The initial $12 million purchase price is subject to completion adjustments and will be satisfied through a mix of shares and cash involving the issue of about 198 million Alcidion ordinary shares (being $10 million at a deemed issue price of 5.05 cents per Alcidion share) and the payment of $2 million in cash which will be funded from existing cash reserves. A further contingent consideration of up to $4 million will be satisfied by the issue of Alcidion shares at a deemed issue price of 5.05 cents per share, is payable in 12 months, and subject to the revenue and EBITDA performance of MKM Health and Patientrack during that period. According to Alcidion, which is publicly-listed on the Australian Securities Exchange (ASX), the acquisition will create a new and leading specialist health IT solution provider focused on “next generation” decision intelligence and analytics technology. Moreover, Patientrack and Alcidion’s existing Miya and Smartpage products are expected provide the expanded group with a strong foundation of complementary technologies. “There are many market opportunities for an integrated Miya Patient Flow and Patientrack product, and together our products represent a differentiated platform which we think will rapidly accelerate our market presence,” MKM Health CEO, Kate Quirke, said. As part of the acquisition, Quirke will take on the role as chief executive of the enlarged Alcidion Group and will join the board as an executive director while Alcidion chairman and CEO, Ray Blight, will move to the role of executive chairman and continue to have an active role in driving the future growth of the combined group. All of MKM Health and Patientrack’s 45 full time employees in Australia and New Zealand, and nine full time employees in the UK, will join the Alcidion group. The acquisition provides Alcidion with access to a diverse customer base, spanning 20 National Health Service (NHS) hospitals in the UK, more than 50 Australian public and private hospitals and health departments; as well as 11 district health boards covering more than 30 New Zealand hospitals. “We are expanding our technology capabilities and our product offering, and the combined group will also have the specialist health IT sales, advisory and service delivery capabilities that are required to sell and deliver complex healthcare IT platforms,” Blight said. Alcidion's capabilities will also stretch across healthcare system integration, implementation and software support services, enabling companies to build partnerships with many large healthcare providers across Australia, New Zealand and the UK. According to Alcidion, these services are built on deep technical skills and health informatics domain expertise. The addition of MKM Health and Patientrack will also bring specialist sales and marketing capabilities to the table. In the 12 months to 30 June 2017, MKM Health and Patientrack generated combined revenues of $9.5 million and net profit of $700,000. The combined revenue of Alcidion, MKM Health and Patientrack is expected to reach $13 million in FY17 (on a pro forma basis). Blight said the merger was an important strategic decision for both parties and will drive improved innovation and efficiency for its customers. “As hospital and healthcare providers continue to face ever growing demands and limitations on resources, innovative healthcare IT solutions that improve the efficiency and effectiveness of clinical and business activities will be crucial to the future of the industry,” he said. 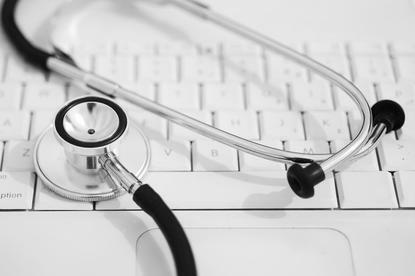 MKM Health was founded in 2003 and generates service revenues in the specialist areas of healthcare IT implementation, integration and data management. MKM Health has been Patientrack’s IT service provider since collaborating to develop the initial Patientrack product, ( a mobile nursing system that manages patient care and safety) and managed the initial clinical trial of the software in the UK before merging its UK business with Patientrack in 2011. It is also Patientrack’s sole distributor in Australia and New Zealand. In December, Alcidion acquired cloud-based clinical communications provider, Oncall Systems. At the time of publication, Alcidion was trading at $0.039.